Ooops! I Did It Again! | So What? I run. Wonder why I’ve been so quiet lately? 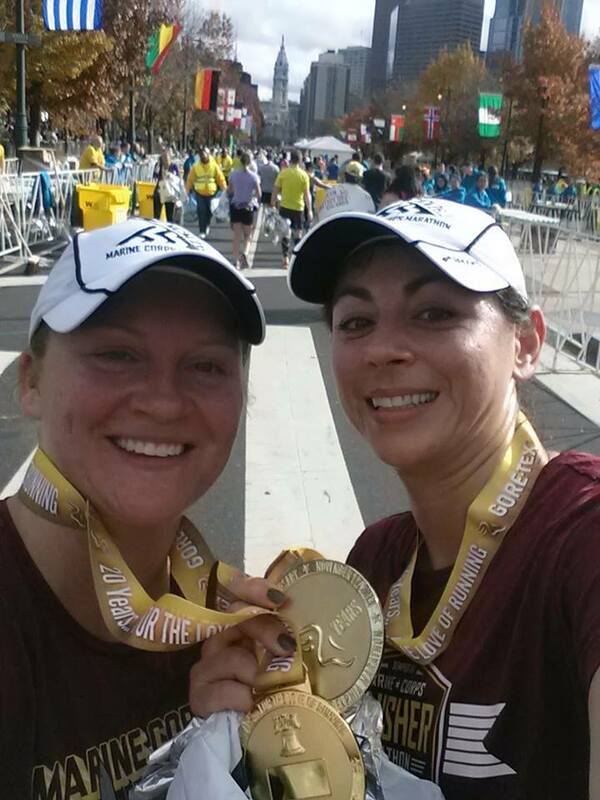 Well, I’ll let you in on a secret…I just ran the Philadelphia Marathon yesterday. Yep! That’s right! First Marine Corp Marathon on 10/27, then Philly yesterday. Two marathons in 21 days! I’ve been dying to tell you all about it and the days leading up to it, but I made a pact with my running partner in crime about keeping it a secret until we actually pulled it off. It was killing me! Every time I sat down to write, I wanted to tell ya’ll what was going on, so I just had to keep mum. I’m sorry for the teaser, but I haven’t had a chance to do a race re-cap, but I hope to have it published by tomorrow. This entry was posted in Running and tagged Marathon Running, Philadelphia Marathon, Road Running, Running by SoWhatIRun. Bookmark the permalink. Sneaky girl. Can’t wait to hear the race report. So Marathon Maniac?? I think I just might have to be a Marathon Maniac now. lol! WHAT! And you didn’t tell us? Can’t wait for the recap! Wow! Congrats!! I said outloud “WHAT??!! !” when I read the excerpt on my phone 🙂 Good for you!! Can’t wait to hear about it, I heard this was a GREAT race, and am hoping to put it on my bucket list soon!